Central banks bought more gold in 2018 than in any year since 1967. Not only central banks were into the precious metal, there was a general 4% growth in demand for it. “The annual increase was driven by a multi-decade high in central bank buying and accelerated investment in bars and coins during the second half of the year”, says the World Gold Council. 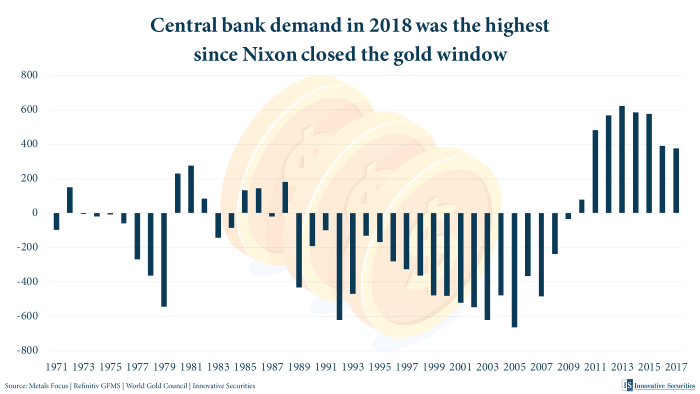 Central banks around the world bought more gold in 2018 than in any year in the last more than 50 years. According to the World Gold Council (WGC), the demand for gold was up by 4% since last year, totaling up at 4345.1 tons. Although demand for gold was up in almost every market, the main buyers were central banks around the world. They alone are accountable for a great part of the jump in volume. Central banks added 651.5 tons to their reserves last year, which was a 74% increase compared to 2017. Russia and Kazakhstan have lad the way in gold purchases for a while now. Turkey is also a strong participant of the market. But new buyers join them from time to time. Some European central banks also turned to gold: Hungary and Poland made serious purchases last year. “Indian net purchases were another notable component of central bank demand in 2018”, mentioned GCW adding that Mongolia, Iraq and Azerbaijan also bought more gold than before. Many of these countries mention that the motivation of buying so much gold is that they want to diversify their assets better than in the past. One-fifth of central banks also have further plans to up their gold reserves in the next year. Not only central banks started to buy more gold last year. 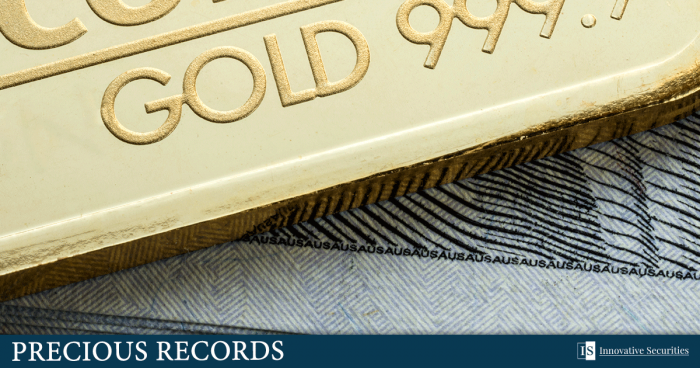 Retail investment in gold bars and coins grew by 4% in 2018, to 1090.2 tons. “Coin demand surged to reach a five-year high […] the second-highest on record”, writes GCW. Gold bars on the other hand stayed the same for the fifth consecutive year. It’s easy to expect gold demand to remain or even grow this year, meaning that prices may also go up in the near future. This could mean that (next to stocks) investing in precious metals is something to think about this year.